Delivers authentication and authorization for applications and services, application signing and wrapping, enterprise application store, device wipe, device enrollment, and provisioning—all in a simplified management framework. 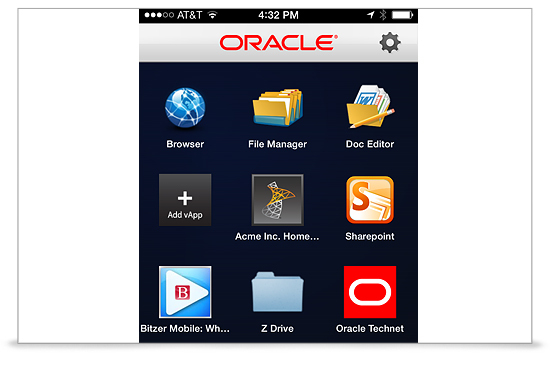 Oracle Mobile Security groups your enterprise applications within managed secure containers independent of personal apps and data. Just enter your credentials, and only the applications and services provisioned to your employees become available. Securing your corporate applications can be achieved through a single sign-in to all of your relevant applications within your secure application space. 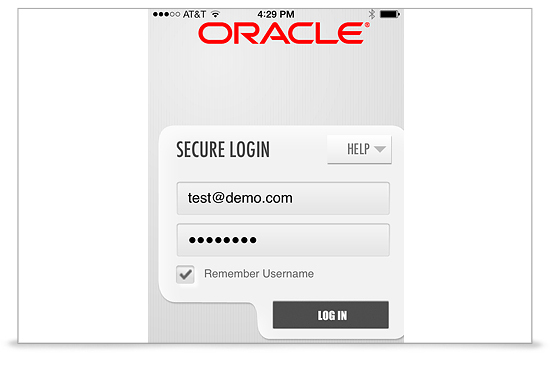 Oracle Mobile and Social Access Service is a fully integrated, server-based solution designed to secure mobile access to applications leveraging the enterprise’s existing back-end identity management infrastructure. Oracle’s Mobile and Social solution also provides client software development kits (SDKs) used by developers to weave security into native mobile applications for tight integration with identity management. Oracle’s Mobile and Social solution secures mobile access to corporate resources by leveraging the services of Oracle Access Management in terms of single sign-on between browser-based and native mobile applications, strong and multi-factor authentication, device fingerprinting and device context based fine-grained authorization. In addition, the Mobile and Social solution also enables enterprises to securely leverage social identity for personalization and federated sign-on.